You must make reservations at least 5 minutes in advance of the time at Grayze. Plenty of neighborhood street parking located in front of and surrounding the restaurant. The food was great and our waiter was good, however the hosts are the reason I knocked down the rating. When we got there it was early Friday evening and no indoor tables were seated at. 20 minutes after we were seated, another pair was seated literately at the table right next to ours. There are 20 tables inside, they couldn't at least put a table between us? That other pair was extremely loud. We ended up moving outdoors, but it was quite the poor planning. On a positive note, we went here because someone raved about the food. I would agree it was pretty good and we are interested in going back, especially as we learned the the backyard patio is dog friendly. Lastly, the cocktails were quite appealing and the wine list- while we didn't drink them, it looked good enough for us to return soon. This a quaint place in a quiet neighborhood. The portions were hearty and service fun (quirky waiter). It has an indoor and outdoor part, and both have plenty of room. We sat inside, because weather was coming in, but when it did, people still sat outside, because the patio is covered. We had brunch here, because it made a Top 10 brunch list I read, but it looks like a place we'd come at night, too. Street parking is fine, and the location is near downtown. Thumbs up. The Mac pastor is bomb. Great service and a great waiter. Love this place. I will definitely be back! Wonderful service, nice ambiance. Would love to try it for Happy Hour - but, the food was all over the place. We had barbacoa nachos to start. The barbacoa was cold, and lumpy. The shrimp app was two small tortillas topped unevenly, not enough to share. I menu revision, with focus would really get people in there. 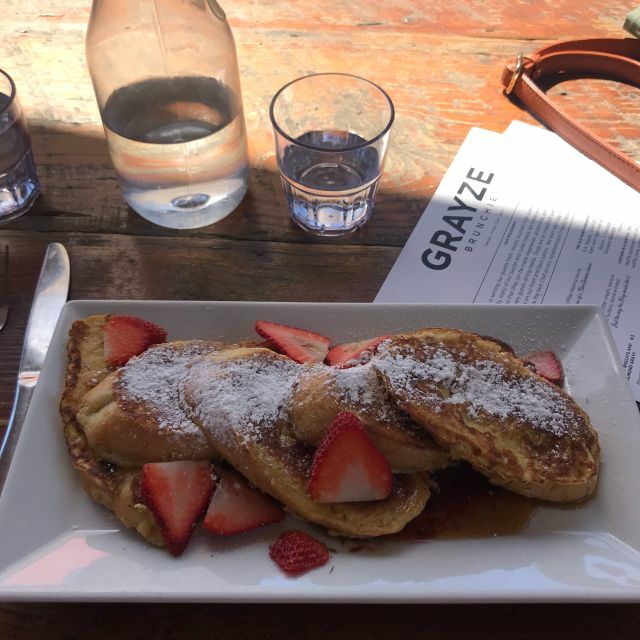 When going to Gratz, we were expecting a nice, charming evening with good food. What we got was poor food quality and a very loud atmosphere. The bird dish was under cooked as the chicken was still raw and the vegetables were very bland. Also the grits in the dish, were over cooked as they were very hard. The smoked pork chop had good flavor, but again way under cooked. The service was good and our waitress was very nice, that was the only highlight of the restaurant. All in all wasn’t impressed with the place, there are way better restaurants near the pearl area that are worth spending your money at. 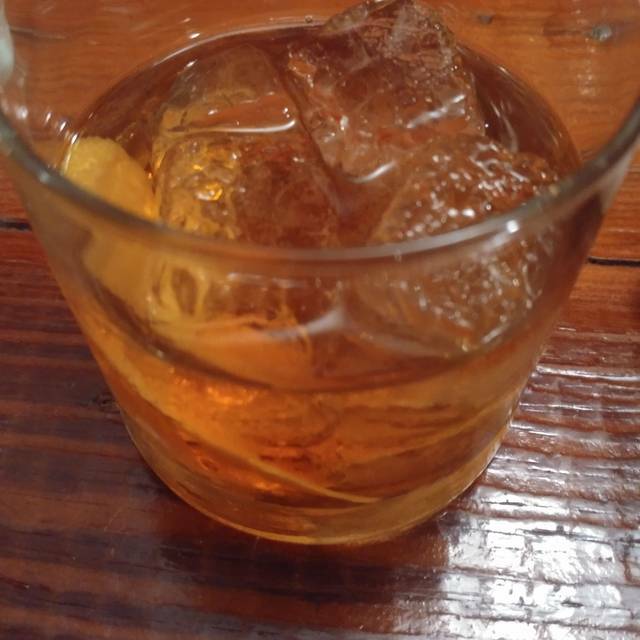 First time visit, bar menu is vast but pricey. Our starter was delicious the Smooked meats were done very well and the balance of smaller and dry rub was very nice. One of our guest had a Fresh Garlic allergy, our server tried everything possible but the kitchen had little to offer, not even ketchup from fries was without fresh garlic! We will probably be back and hope our disappointment makes an impact with the chef, thousands and thousands of spices outside of garlic! The beet and goat cheese salad was amazing and the waiter was friendly and knowledgeable. It was a great place and their champagne was nice. Definitely going back! Four of us, spending a couple of days in SA, enjoyed a nice evening outside on the back patio. Weather was perfect, and the patio seating was fun. Food was good, but not great: Poke bowl was strangely flavorless, despite the promising description. There was lots of tuna, but pieces were large and chewy. The Bird was a good choice, as were the salads. I brought clients here for lunch. Service was outstanding and the food was also very good. 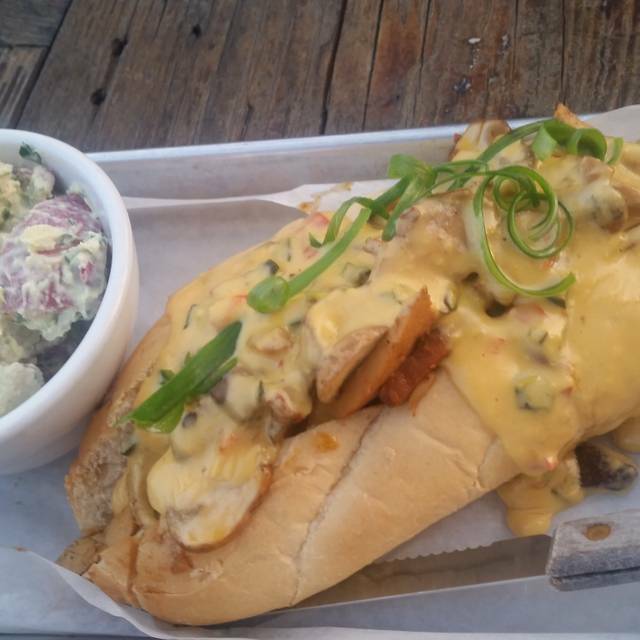 Everything is made from scratch in-house and the menu has unique options. I highly recommend for a more casual business meeting or just everyday dining. It was my birthday brunch with my family, I informed them when I made the reservation however nothing was mentioned when we arrived. When we arrived although we had a reservation for five all the tables left could only have sat four, this was not a problem because we volunteered to sit in the waiting area at the front. Unfortunately though this was obviously not to the waitresses liking, she was rude, unhelpful and made it extremely obvious that we were an inconvenience. She left our table uncleared for the entire service, and made us feel very neglected and frankly just too much of a problem for her. Thankfully the food and drink more than made up for it. Food Was Delicious!!! Best Customer Service. Will Definitely Be Returning. Cute cozy and relaxed atmosphere. Everything is made in house our server Staten was amazing great recommendations....don't let the appearance of the food fool you this food will have you scraping the plate. Order the mac and cheese, brussels sprouts (not what I was expecting but still really good. I got the bird it was delicious. The poor boy had two overcooked shrimp that scrapped the top of my mouth. One of our guests had to wait for her food while everyone else had almost finished. Too many ingredients for each dish. 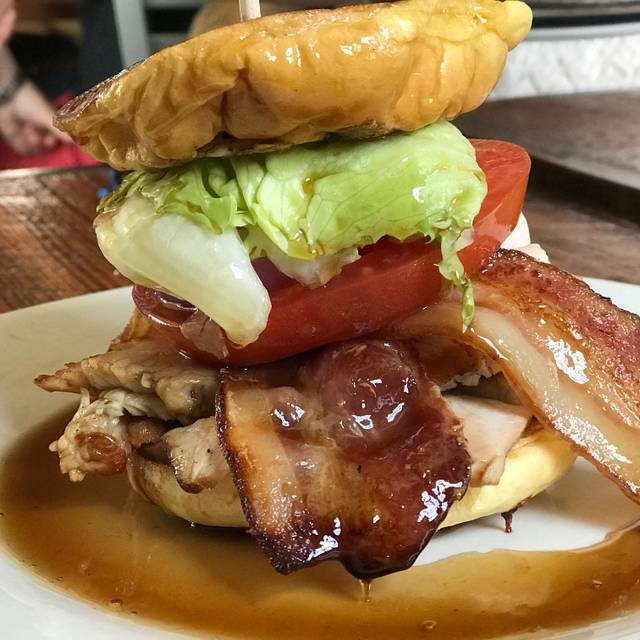 The burger was one sloppy mess. I will never return or recommend. It was nice and and food was delicious. Good customer service too. Excellent service. Food and drinks were delicious and prices are reasonable. I’ve never had a bad meal at Grayze. Unique setting that was laid back, yet hip and allowed conversation without too much noise. Waiter was attentive, non intrusive, and made dining a pleasure. Thoroughly enjoyed our meal and first experience at Grayze. Will definitely be back! Besides having great recommendations from our server, Stanton, we enjoyed a peaceful yet creative meal in a cool environment with amazing cocktails. I was super impressed with this restaurant. If you can get past the ongoing construction and limited parking, you will be be extremely pleased with the overall experience. I'll definitely be back. Food was great! 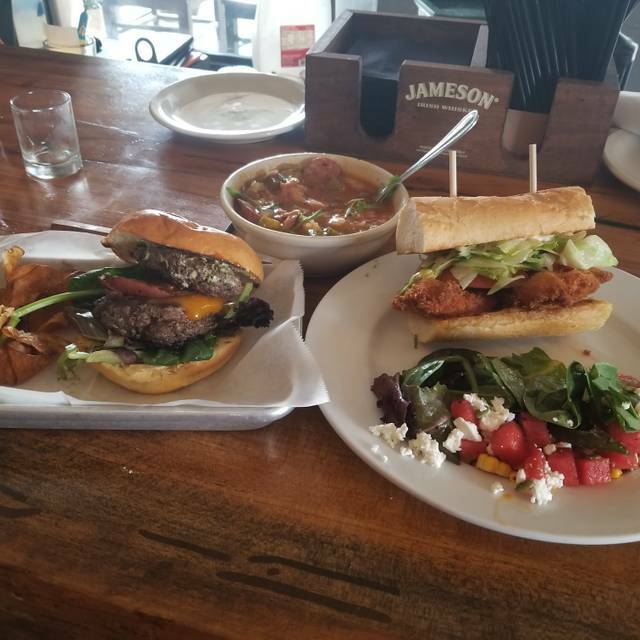 I had the torta and my friend had the hipster. We both shared to Mac al pastor although it’s not anywhere near close to traditional al pastor. The ambiance was cozy. I would like to see less California wine and some old world French wines on the menu. It was hard for me to make a selection on the wines given that there was little variation in the regions of which they came from. Other than that everything was fantastic! Brunch was outstanding! Every dish we tried was amazing. I couldn’t recommend this restaurant strongly enough. I will remember the chicken in a waffle for a long time! The food was very tasty. There were 4 of us and we all got different items. Between us this is what we ordered- Fish, hamburger, salad and appetizer (as a meal). Everyone enjoyed their entrée. The alcohol drinks we also very good. Prompt service. Love the little house turned into a gem! My girlfriend and I went to Grayze for their Valentines Day special/set menu. The menu was very well executed and we enjoyed everything that we got. We both left very satisfied with our meal and even had leftovers to take with us. Overall, I enjoyed the experience at Grayze. Food was excellent, service was attentive and I have no complaints with their inside dining room. 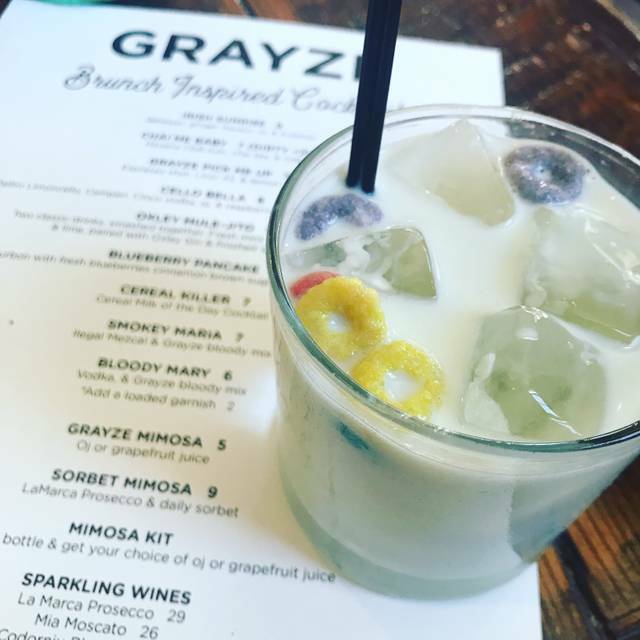 Grayze makes my list of places I would go back to eat at again (a very competitive list with all the restaurant options in San Antonio). Next time I would like to be there when the weather is better and enjoy the outdoor eating space that they have. Service and food quality have declined significantly in past few months. It’s a shame as this used to be a gem. The outside patio was fabulous. Sadly, the menu left a lot to be desired and there was a 30-minute wait between every course with dessert taking 40 minutes after we finished our entrees. Whomp whomp - didn't leave a lot of time for after-dinner events. Wonderful flavors in everything we ordered and very large portions. Great place for a large group to gather for brunch. Drink menu was awesome loved the sorbet mimosas highlight of my day. 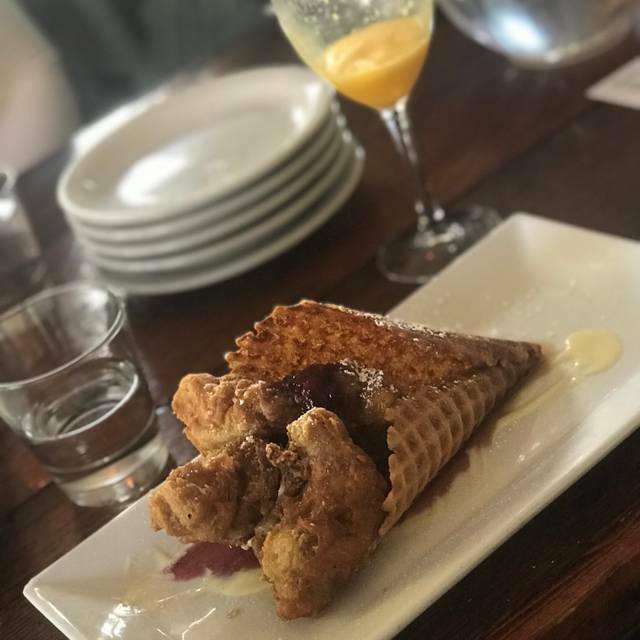 Ordered the chicken and waffle did not disappoint and was able to get a great food pic. Will definitely visit again. Overpriced, lacking in flavor. They wouldn’t honor the Restaurant Week Sunday Brunch price of $25 on their menu with the Grayze letterhead on the Culinaria website, when we got there it was $35. The website is very misleading. 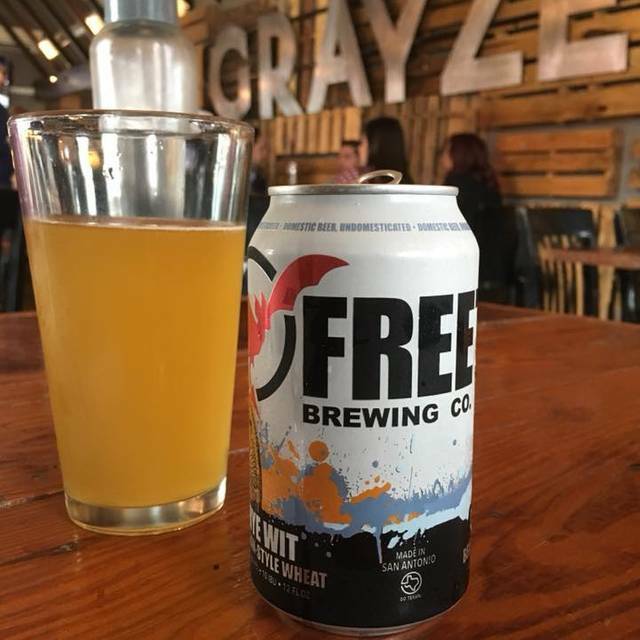 I chose Grayze because it states on their website “We have created most dishes so they can be vegetarian, gluten free and vegan because we believe in catering to every guest’s needs.” Turns out, our server didn’t really grasp the understanding of vegan needs. And, their idea of “most dishes” being able to be changed for these particular diets, was no more than omitting 75% of the ingredients of each dish. Please reword your website. I felt like such a burden and was very disappointed I couldn’t eat “most things” on the menu without completing destroying the dish of all its flavor. 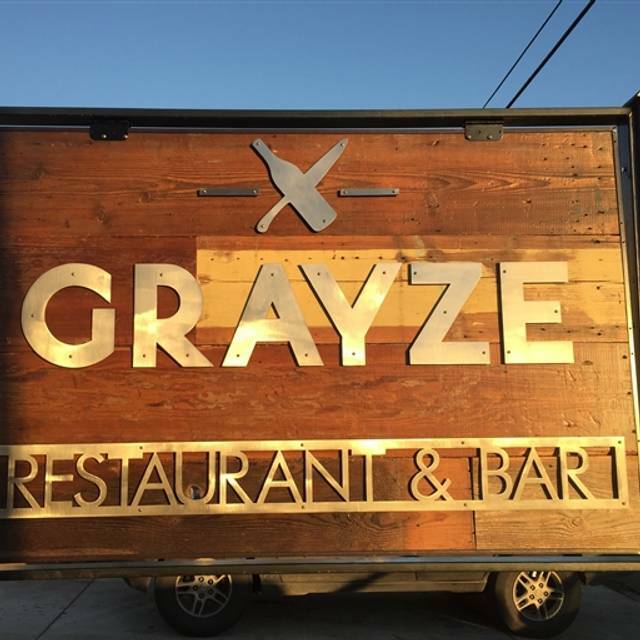 Having had many meals at Grayze in the past, my Restaurant Week experience was up to the high standards I associate with their food. The four-course menu offered two to four choices for each course, and I cannot recommend the Brussels and Fried Bread salad, Mussels and Andouille sausage over grits, Rainbow trout entree with grilled asparagus, lemony pilaf, and garlic aioli, and the decadent butterscotch and white chocolate bread pudding more enthusiastically! Such a find! Four of us / everyone ordered something different & we loved everything! Yummy menu, the sorbet mimosa was over the top delicious. Pier server was excellent! Great food and drinks! I would go here again and highly recommend the breakfast! The food was interesting. We went at 5 on Friday evening. It was not busy at all and the noise volume was controlled. The prices are steep for happy hour. Overall the food was are was good and tasteful. The green bean tempura fries were awful — full of grease and the batter didn’t stay on. Sliders had a rich flavor. I’d go back but not on the reg. No designated parking - so you have to park on the street. If you know the area that street is highly traveled but buses, work vehicles and commuters. When in San Antonio, I always meet my friend here for weekend brunch. A sorbet mimosa on a Saturday or Sunday always starts the meal! The servers are friendly and attentive. Nice place with interesting food and drinks. Good for brunch.